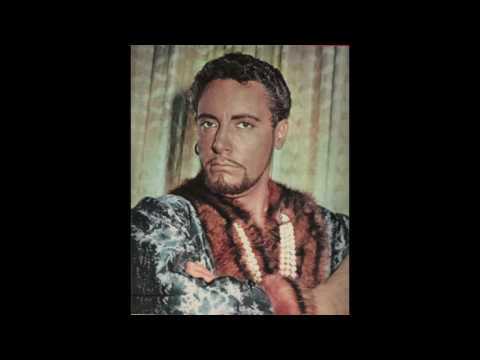 What a showcase for a tenor to introduce his character! While it may be an uncomfortable and „cold start“ with no chance to warm before – similar to Radames´ aria in „Aida“- it is less difficult to sing and not as exposed as Radames´ music is. It offers to show all aspects of Ernani´s character: a proud, manly and passionate noble man, with a melancholy side, too, who fears for the loss of his love. The melancholy recitative, the poetic ode to his beloved Elvira, the sudden change of mood „il vecchia Silva stendere“, the almost self-pitying ending of the cavatina and finally the joyous cabaletta foreseeing the reunion with his love. 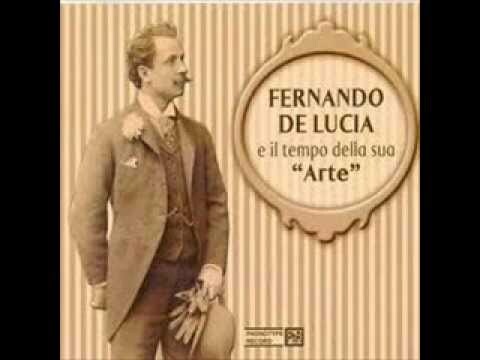 As usually, De Lucia takes an exceptionally slow tempo. His singing is sensual and intense, with some beautiful spinning of notes and lingering on phrases. He may even be all too content with his singing (great and nuanced as it is!) remaining essentially lyric and emphacizing the aspect of the man in love. 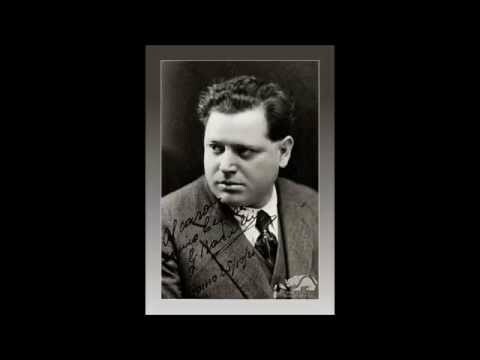 Not a bad recording this one, made shortly after Radaelli´s debut in 1914. Beautifully refined with great control (except for a little stecca in the final cadenza). They both are more on the – let´s say – sturdy or robust side. Straight-forward, no-nonsense, loud singing with little imagination. 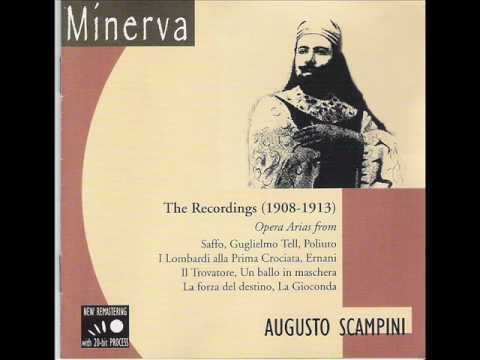 Scampini – though not exactly the most nuanced singer – is actually more rewarding to listen to than Del Monaco, who makes my ears hurt after three minutes. Too much need to show off „muscles“ and the fullness of the voice, no time or urge to linger here an there. Impressive as the voices are – the singing is less so. Cut off phrases, little athmosphere and colours. Both Slezak and Martinelli have the right kind of voice for Ernani – at least for my taste. Good-sized spintos with ring and a secure top (though Slezak uses considerable pressure in the higher middle range) though never heavy and opting for too much broadness of sound, focussing rather on „accento“, phrasing and intensity than mere loudness. 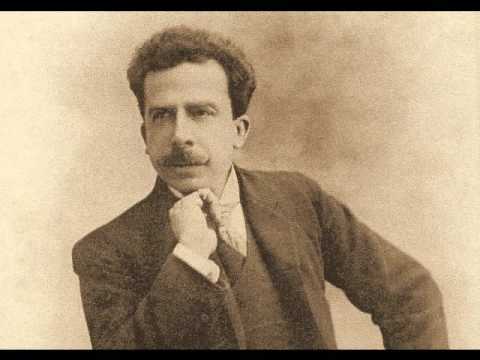 Considering De Lucia and Del Monaco the two antipodes in this aria, Martinelli combines the best of both in his singing: the tempo is rather on the slow side, giving him ample opportunity to show his great legato. The singing is wonderfully balanced, the phrasing is that of a true aristocrat: noble, proud and manly with sufficient flexibility, „grinta“ and squillo. His singing, which later on could sound pinched and stiff, is caught at his very best here in 1915. The voice rings freely, lots of drive, great focus – very intense, yet without getting loud or even a hint of forcing. His style is (yet) unmannered and not overly extrovert and catches the music´s spirit magnificiently. 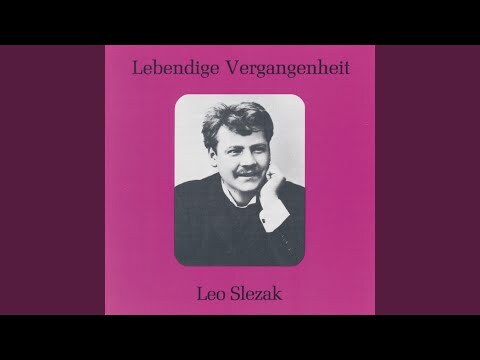 The recitative is a model of how it should be done, the cabaletta has painfully been omitted. Apparently the only version of the cabaletta from the pre-LP-era. Featuring even the chorus, it is sung with verve and slancio. Martinez-Patti was considered a leading spinto in Italy and South America between 1890 to 1910. He recorded extensively, more Ernani with Oreste Luppi as his partner in “A te scegli, seguimi” and “Solingo, errante, misero”. Questo articolo è stato pubblicato in blog, Musica lirica e contrassegnato come ernani, Verdi da Selma Kurz . Aggiungi il permalink ai segnalibri.